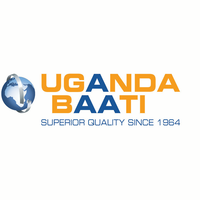 Uganda Baati Ltd is a member of the Safal Group of companies - Africa’s largest producer of steel roofing and the pioneer in the production of Aluminium Zinc coated steel on the continent. The company is a leading manufacturer of roofing sheets and allied products with branches in Kampala, Arua and Tororo. Provide effective and responsive maintenance service to production and other sections of the Company. Ensure all plant and equipment is maintained to standards following documented repair and maintenance procedures. Actively contribute to the reduction of maintenance costs by identifying, reviewing and highlighting to supervisors high cost maintenance activities. Directly supervise the maintenance team to effectively execute all maintenance work. The applicant must hold a Bachelor’s degree in Mechanical / Industrial Engineering with a bias in hydraulics. Five years of experience in manufacturing in a busy organisation. Good analytical skills with strong attention to detail.